Chipotle is a king in the unbranded content space. Brands have been sending their marketing champions out to battle in the digital arena for the last few years with many victories claimed on the real-time and content-creation fronts. Now, marketing innovators must build on these successes with initiatives that resonate even more with target audiences. Transparency was the big buzzword in 2014, but Chipotle’s chief marketing and development officer Mark Crumpacker believes the emerging trend of allowing customers to report on behind-the-scenes elements of companies could take it to the next level. Opening up a supply chain to customers or bloggers, rather than holding a Q&A with a brand’s executives, is "the ultimate in transparency," he explains. "People are distrustful in general of what corporations say," Crumpacker adds, "but if they can let consumers have a look for themselves, that’s much more compelling." The companies that do this effectively, he notes, will benefit going forward because they will stand out from the competition. It’s something Chipotle has been thinking about recently. "We’ve always maintained that the more you know about what goes on at Chipotle in the kitchen or the boardroom, the more likely you will be to want to eat at our restaurants, and that’s not true for most fast-food companies," Crumpacker says. 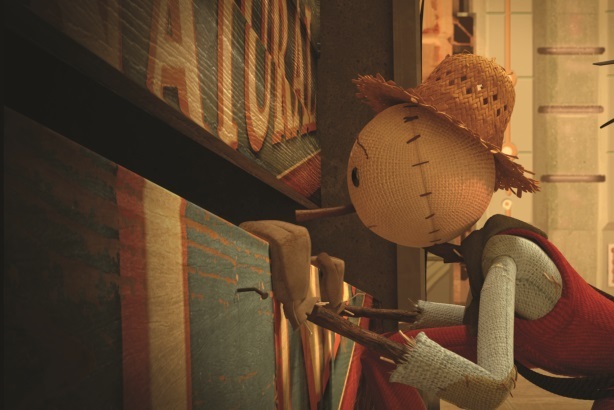 Chipotle, a king in the unbranded content space, as witnessed from its Cannes Grand Prix and Gold Lion awards last year for The Scarecrow, an animated short and affiliated mobile video game (above), will also continue developing its entertainment offerings, with a new series for kids planned this year. The brand launched an original online series, Farmed and Dangerous, last February, which featured two brief visual references to Chipotle. He says the show’s objective was not to promote the brand, but to highlight the importance of sustainability and farming – Chipotle’s core values. One-third of the company’s marketing budget goes to Chipotle’s entertainment programs, dubbed Cultivate a Better World, while the rest is split between traditional and local marketing. Crumpacker admits the brand went through a phase a few years ago where it believed it didn’t need traditional advertising, but "the fact of the matter is you still need to keep the brand top of mind." Ads on billboards or in magazines help augment other forms of marketing and tell a deeper story for a brand, he adds. For Chobani, the market leader in the Greek yogurt space, increasing its traditional media tactics will be a major focus going forward, says Peter McGuinness, CMO of the brand. With only 32% brand awareness, and two out of three Americans who have not yet tried Greek yogurt, he says the brand is focused on "exploding the category," which will require heavy marketing investments. Chobani’s goal is to triple the category by leveraging an integrated marketing mix, which will include a lot of social media activity, PR, advertising, and sampling. Trial is key for the brand, which McGuinness says has a very high repeat rate after consumers try it once. Chobani gave out more than 3,000 samples at Grand Central Terminal in New York City in October 2014, and it had a booth at last year’s Food & Wine Classic in Aspen, Colorado. Chobani teamed up with ride-sharing app Lyft to enable people to request deliveries of its products in Manhattan last October. Chobani will also continue to get involved in current events and voice its opinions, such as when the brand showed opposition to Russia’s anti-gay laws last February during the Sochi Winter Olympics by tweeting a rainbow-colored stack of yogurt cups with the phrase, "Naturally empowering everyone." Perhaps another reason Chobani plans on amplifying traditional methods and social media is because McGuinness does not "see any new shiny objects" in terms of emerging marketing trends. He believes creativity will reign supreme this year, and that brands will continue to use crowdsourced content to break through the noise. Charles van Es, senior director of global brands at Heineken USA, agrees that digital and social will remain big in 2015, but he believes measurable results are the next step. "You’ll see even more brands invest heavily in the digital world, and actually get the returns," he notes. "Once they see these returns, traditional media budgets will be cut quite aggressively." At Heineken, the company can already hook up in-store sales data to digital targeting in order to see when to advertise to people at specific times of the day to change buying behavior, so the next step will be figuring out how it impacts the bottom line. "Once marketers have enabled the big data stuff to be interconnected and you see how a campaign delivers, it will create a real emphasis to put more focus and money behind digital," he adds. For Heineken’s Newcastle Brown Ale, which won a Silver Cannes Lion in 2014 for its cheeky If We Made It online Super Bowl program, the goal is to "latch onto key selling moments," some of which the brand made up, such as Independence Eve. While it’s a different type of transparency than Crumpacker alluded to, van Es says Newcastle capitalizes in a funny way on being open with consumers about the fact that it is marketing to them. "We’re marketing to you," he explains, "but at least we are honest about it. This year, we want to continue to hijack the conversation and have fun, but see that in tangible brand results." The digital world, however, is a double-edged sword that offers great opportunities along with a number of challenges. Not only are you "competing with cats on Reddit," explains van Es, you are also going up against daily news stories. If a brand’s social program isn’t very strong and a big news story breaks on the same day, the campaign will sink to the bottom very fast, he adds. "We’re all competing for the same attention," van Es says, which is why comms has become a key element of digital marketing. "It’s come to a point where if we have a brilliant digital plan, but zero PR, it doesn’t move, even if we put the money in," he says. "We need PR’s expertise and partnerships to make sure a story not only gets the eyeballs that we buy, but also the ones we earn."